I cant install this new wallet. Does anyone has the same problem? What excatly is the issue? We are pleased to announce the new wallet and roadmap!! meaning everyone has to move to the new wallet before block 1,293,600. The new wallet has the blockchain and staking issue solved. With this improvement we can now move forward with Teslacoin development. I only get one connection with the new wallet. Should we copy in the old teslacoin.conf file? Teslacoin was birthed as an ode to the often forgotten electrical genius Nikola Tesla. We're working towards a decentralized and sustainable world supporting Free Energy and Renewable Energy Projects. Mission: Accelerate the transition to a sustainable energy system by funding Free Energy and Renewable Energy projects though TeslaStarter. Vision: Let's decentralize the Energy System!! Get in touch with TES community! It's 7ziped so it need to be extracted somewhere like your homedirectory and you can run it from there. Ubuntu will complain that the package is of "bad quality", this is because I left out some metadata such as file checksums and installed size etc. I have not noticed any problems after installing this but you use it at your own risk. If people actually use this stuff I might release an improved version at a later date. follow the instructions on the site to install it to your SD card (NOOBS is raspbians easy installer, its on the site as well). Your pi might have already come with an OS installed. so you might be able to just skip this step. You want to first make sure your pi3 is up to date with all of the current repositories with the following 2 commands. Depending on how much has to update, these might take a while. Next we want to install the necessary libraries to be able to compile a coin daemon. The following command installs a lot of libraries, as they are all needed to compile any coin (some might not be needed for tesla specifically, but that is ok). So this too might take a while. Next we need to install a helper program that will just make getting the code for the coin we want to compile easier. Now we want to go into the code and compile the daemon so that it runs on the pi3. this should compile the full coin. you should end with a Teslacoind program in that folder. Tesla was born to Serbian parents on the 10th of July, 1856 in the village of Smiljan, part of the Austrian Empire (now Croatia). He died on the 7th of January, 1943 in room 3327 of the New Yorker Hotel. became well known to his neighbors with ambitious electrical experiments that caused booming thunder, rogue sparks and the occasional power outage. Windows 64 version failed for me, I get an error message from windows saying it will close the program. Also Windows 10 does not like it that there is an unknown publisher. This should be fixed as no one will take this coin seriously with alarms going off just to install a wallet. The 32 bit did work no problems on windows 10. Thanks for all the hard work guys, Even though it may appear that I am not appreciating your work with this post, I am totally supportive and very much appreciative. Just one more thing, mega downloads has to go asap and replaced to improve image. There should not be too much problem to sort these things out. Wallet for MAC is not working it' pending. When you plan to start it? Is the latest wallet version v3.3.0.0 ?? There is no bootstrap available, do i need to re-download the whole blockchain or can i just swap the .exe file for the new wallet? My wallet after the install forked from the blockchain, with the conf file. I had a backup of my wallet and block chain, but It got corrupted when I was swapping things around. So I tried a fresh install, with a new bootstrap on the new 32 bit wallet windows 10. It was a disaster, it will not download the blockchain, not one block has been added to the bootstrap. I am not sure about this wallet update, it may still have some problems. I would like to help if I can. Unfortunately it stalls downloading like the last wallet and needs continual rebooting to keep downloading. Unless I am doing something wrong. Unfortunately the new wallet is not working for me either. The old wallet would just stop and this one is doing the same thing after about 60 seconds. 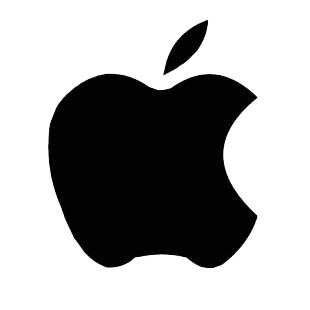 Mac wallet is not compiled yet. We're all moving to the new blockchain in the block 1,293,600. That's in 10,000 blocks. Therefore we're all in the same blockchain. Last bootstrap available is from 2.5 months ago. Since people is having problems, maybe it's easier if you re-download the last 2.5 months. Gonna check 64bits. Thanks for the feedback! Also gonna work on hosting wallets on our website, but we need to make sure it doesn't have an expected consecuences. I've seen some 100% clean wallets make Google can tag the web as dangerous. Not sure why is that happening, but we need to make sure that doesn't happen to us. That's why we're using Mega for now. how do you know it forked from the blockchain? you were sync? in which block? maybe it's because the 64bits wallet issue? Please explain what you've done. Guess you've download the wallet and you're still syncronizing right? Did you use the bootstrap? are downloading the whole blockchain? 3) Make sure you're in v.3.3 (In your wallet go to: Help -> About Teslacoin). Close the wallet. 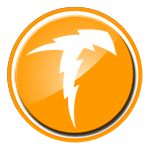 4) Since you have opened the new wallet, a new folder called Teslacoin has been created. - We're not moving to the new blockchain until block 1,293,600. Let us know if you have any problem, errors, improvements or whatever. Went with 32bit, followed instructions above, and then wiped everything but the wallet.dat file and rebooted. It hasn't crashed yet. I think all is well. It's just going to take me forever to download the blockchain. I had previously downloaded the blockchain from cryptochainer, but will wait to see if devs release another bootstrap directly, I'd like to limit the variables. @Rw13enlib88 has been very helpful with troubleshooting with me on Telegram. the new wallet synced no problem, but after some hours running, I noticed it was out of sync. I checked the block count and my wallet had run ahead from the the block count on the explorer. It will no longer sync to network but keeps downloading blocks I believe. It has happened to me again after re bootstrapping a new wallet. Check below, my private info is zeroed out. My pleasure. Hope we can have the bootstrap ready soon. Please, close you're wallet and follow the instructions. TES Staking is working SOOOO good!